Liz Santos May 24 2018 11:04 pm Le Jae Hwang is really a handsome guy and a great actor. He acted well as a bad guy in the drama Backflow, but he has an awesome and adorable face. Moew power to him. tp Oct 21 2015 5:30 pm I'm watching Eve's Love and truly like your character in that drama. You look quite handsome with short hair, much much better long hair. Wishing you lots of luck in the near future. yvonne yap Aug 30 2013 11:09 pm Very romantic guy.when I watch the movie it because of you. melanie Aug 02 2013 9:00 pm I'm in love with you.Your smiles and eyes kill me. Solidad Feb 24 2013 8:07 pm oh!!!! wonderful comments of yours... keep up Lee! Muanpuii Mizo Feb 20 2013 4:38 am We love him and want to see before i die..
lynlyn Jun 07 2012 5:35 am is he alive???? Van Ho May 02 2011 3:04 pm You are awesome, handsome. I really like the way you act. You have angle smilies. Chi Apr 18 2011 9:57 pm I live in Vietnam. You are very handsome and I love you ... I love you Lee Jea Hwang I love Korea I do not speak English very well. Hope you understand me! jf Apr 06 2011 9:38 am Lee Jae-Hwang, your not just handsome but also a brilliant actor!your making every girls heart melt..
nicole kate Jan 24 2011 2:28 am and hope if you happen to have a baby you will name it after my name...lovelle nicole is my real name...tnx..
nicole kate Jan 24 2011 2:26 am hai lee jhae hwang..you know you hav lots of fans here in the phill..hope you wiil visit here once,,,tc.godbless.you are a good and talented actor...and handsome..
kiSses me Jan 05 2011 1:00 am the most perfect man that i love is LEE JAE HWANG,,,,everytime i watch your movie i feel that im flying in the heaven,,,,,your so totally handsome and have a cute eyes!!! elsie Jan 01 2011 2:13 am i love the character you played in temptation of wife. wonderful..
arvijoyce Dec 25 2010 12:51 am i love your movie TEMPTATION OF WIFE.i know im too young to understand the movie says but i think i need to understand it because im growing up and i need lessons,,,thanks for the movie.i love it..
jhn Dec 07 2010 7:04 am ur simply the best.No.1. ohSNAP! 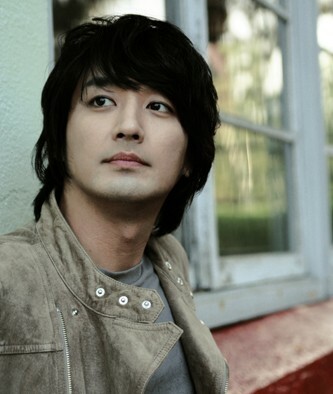 Nov 01 2010 8:13 pm i really love his role in temptation of wife with jang seo hee, they look great together, and he's so hot. i always wanna pinch his cheeks!! belle Aug 22 2010 3:38 am He's so perfect in Cruel Temptation. A real good romantic lead..if only he's more noticed and appreciated. 楊小智 Jul 17 2010 11:02 am 加油!加油!